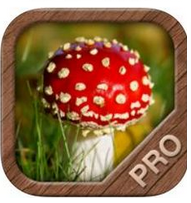 Mushrooms Pro is an information packed fungi identification app with a 15 species free version and a paid version with 300 European species. The opening menu offers immediate access to Guide (the fungi identification menus), Fungi quiz game, Photo share and 0nline consultation. Pressing i yeilds an admin menu where you check for updates, email support and feedback, rate and review on itunes and access Nature mobile website, social media and Youtube. A settings tab lets you choose to view the app in English, Dutch, Spanish or French and choose the font and measurement system. 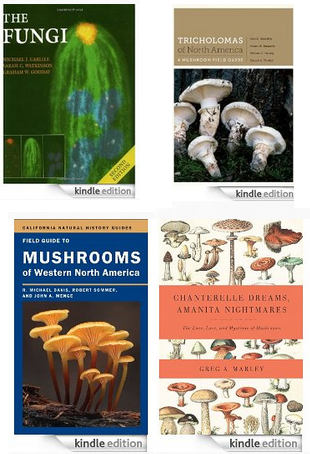 Pressing Guide From the main menu yields choice of 3 fungi identification systems. Step by Step fungi Identification is by far the easiest to use. It proceeds by asking questions that are mostly in non-technical language and leads pretty quickly to display just a few possibilities shown as photo icons from the top half of the screen. Identification by fungi Characteristics is redundant because its search functions don't produce results. 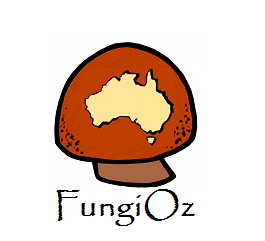 The Visual fungi Identifier System. 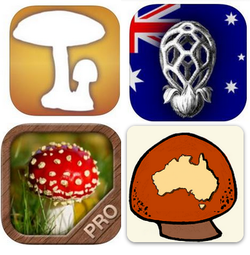 The top half of the screen is taken up by small scrollable icons of the app's three hundred fungi species. Pressing one of these bars produces horizontally scrolling options and pressing any one of these produces a common word to describe the photo icon. The words are crucial because the icons are too small to easily distinguish in most cases. 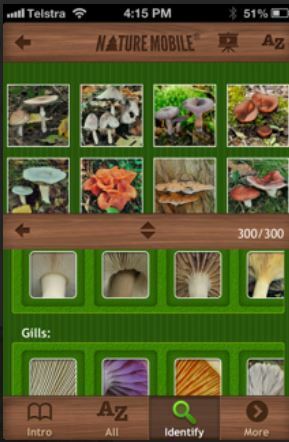 This means that to decide on a match between your fungi find and a characteristic listed in the app you mostly have to press each icon to view its caption first. 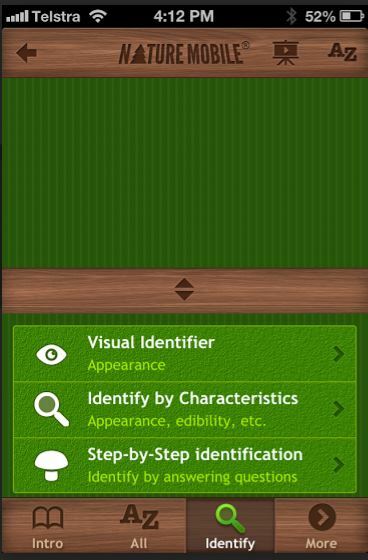 Each time you select a characteristic icon the number of species shown in the the top of the screen reduces to include only fungi with the selected characteristic. As you add selections from each horizontal bar the number of produced species gets less, making it very manageable to match your find. 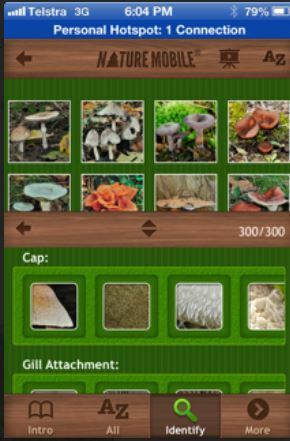 The screenshot below shows just 3 mushroom species resulting from a search for fungi with a greasy or slimy cap and free gills. A very successful result. Each Species Entry has a wealth of useful information that is set out in ways that are easy to comprehend. Multiple excellent photos including close-ups of identifying details. And the photos can be enlarged via finger spread. The only difficulty is getting back to the species entry, which however is achieved by drawing the fingers right together. Unfortunately, the enlarge capacity only seems to work intermittently which can be frustrating. 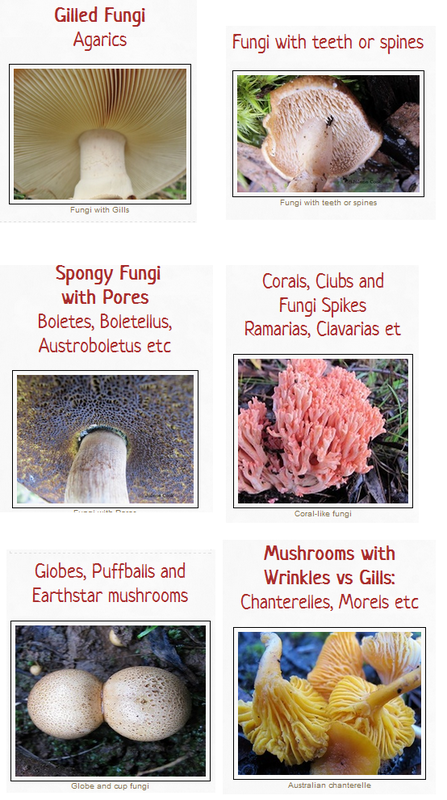 The scroll-down species descriptions are set out for easy reading and provide more detail than any other Fungi identification app. A list of synonyms for the official name including their names in other languages. 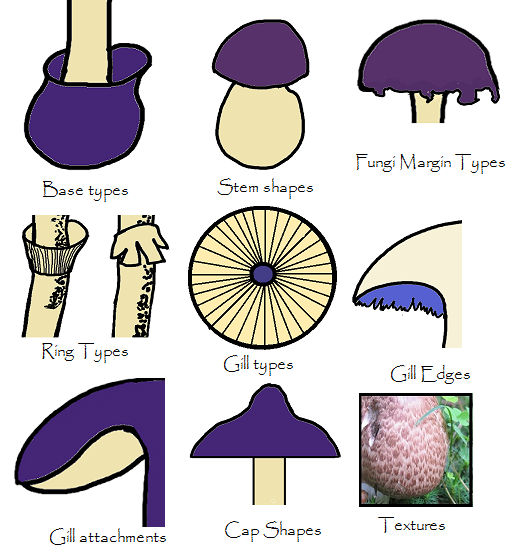 All the identifying feature photo icons relevant to the mushroom so that you are sure of the identification. The glossary has definitions of 60 terms, helped along by the misnamed "mushrooms worth knowing" section. Overall, a good app but a bit hard to navigate and limited to European species.